We appreciate the many people and organizations that partner with us. Thanks to a collection of partners, sponsors and foundations we’re growing healthier kids and adults and a more vibrant community. Metro is one of our most important partners, providing both a home base (the big red barn) for our programs and access to open space and farmlands for field trips, summer camps and family days. Metro manages numerous acres on Sauvie Island, including both the Howell Territorial Park where Sauvie Island Center is located, and the adjacent property which is leased to Sauvie Island Organics. Metro’s support means that we are able to channel more resources toward providing farm time for kids, especially those in under-served communities. Metro protects open space and parks, plans for land use and transportation, and manages garbage disposal and recycling for 1.3 million residents in three counties and 24 cities in and around Portland. The agency also oversees world-class facilities such as the Oregon Zoo and the Oregon Convention Center. The Sauvie Island Organics farm serves as the classroom for much of our curriculum, providing access to fields and farm expertise. The award-winning farm offers its produce through a 200-member Community Supported Agriculture (CSA) program and through many of Portland’s premier restaurants. The mission of this local, organic farm is to grow a wide array of high quality seasonal produce for local markets, provide the community with a connection to their food source, educate people about sustainable food production, provide a model of sustainable farming and create a high quality workplace for its employees. Food Works hosts and helps us to maintain our Grow Lunch Garden, a farm row that is planted, tended and harvested by visiting children. For four years, Whole Foods Market has been our premiere partner in farm-based education. 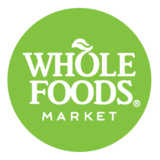 From their ongoing support for our annual Barn Dance & BBQ to their new role as Family Farm Days sponsor, Whole Foods Market has been a consistent and reliable supporter of our work. Organic Valley has been a valued partner since the founding of the Sauvie Island Center in 2005. Seed money from the co-op provided the funds to develop the curriculum and host early field trips. Recently, they’ve supported our work through both sponsorship dollars and donations of their wholesome dairy products, which are featured at various Sauvie Island Center events.